MRCB = Multi Role Cruising Boat. 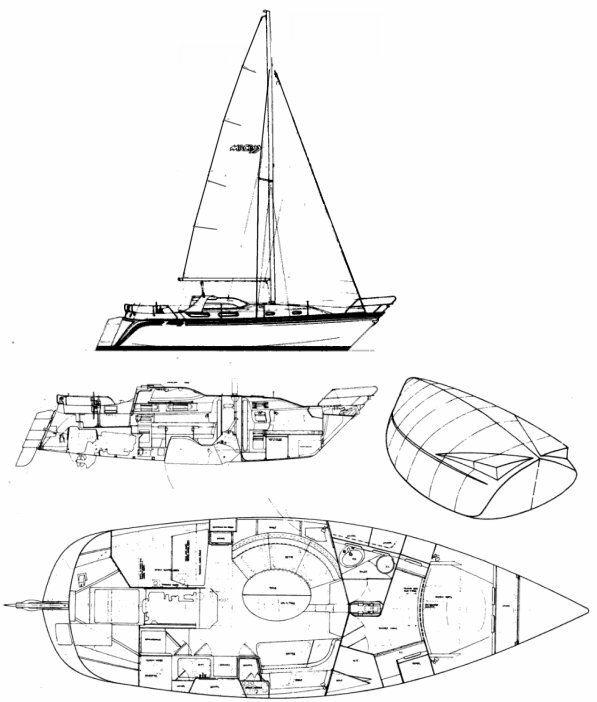 Hybrid sail/power yacht. Powered by a 165hp Volvo Duo Prop drive system (counter rotating props). The unit can be raised or lowered with an electronically controlled hydraulic pump. Capable of 20 kts under power. Owners report the sailing performance was acceptable.